In the last couple days, a lawsuit has been filed in a San Diego area District Court, seeking to stop the construction of President Trump’s border wall. The lawsuit is a 53-page behemoth of a complaint with separate claims for relief. However, it contains some very interesting arguments. Some arguments with a real chance of delaying or even halting construction of Trump’s wall, and some less likely to succeed. In a time where politically grandstanding lawsuits and orders with little actual impact are common, it’s easy to quickly dismiss this lawsuit as another example of this. However, the lawsuit has some arguments that carry weight. It has real potential to throw a wrench in the works of Trump’s wall. But, it is still very early going for this lawsuit and it will face immense hurdles before it can hope to succeed. For now, let’s look at the situation and the arguments the suit makes. It’s significant that this lawsuit is being brought around San Diego because that is the site of one of the preliminary construction sites for a prototype section of Trump’s wall. In pursuing this project, and the entirety of the walls eventual construction, the Secretary of the Department of Homeland Security (DHS) John Kelly published a “waiver” notice in the Federal Register in August of this year. This waiver essentially says that the wall’s construction does not need to follow over 30 federal laws and all state or local laws which might relate to the construction of the wall. This probably sounds ludicrous on its face. However, the DHS has been granted this power to waive laws to some degree for decades under the Illegal Immigration Reform and Immigrant Responsibility Act (IIRIRA ). The IIRIRA contains a provision that allows the Secretary of DHS to waive any law he or she deems necessary to expeditiously construct reinforced fencing authorized under that section. 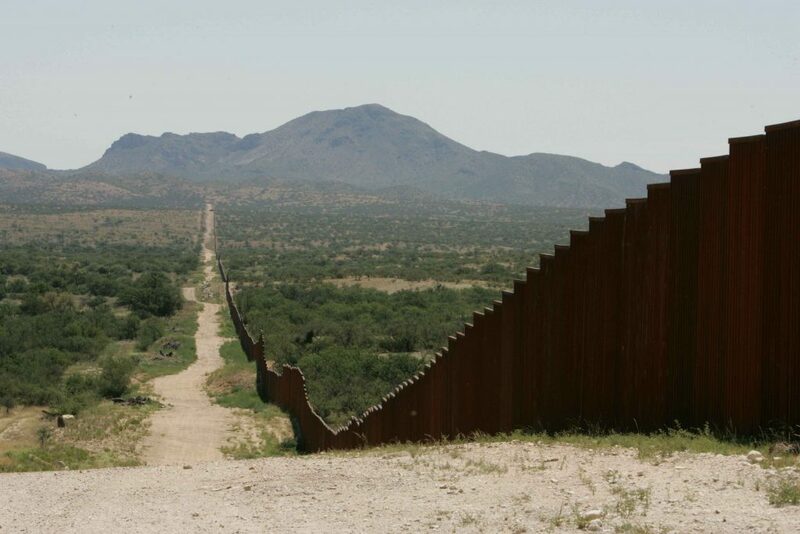 California’s lawsuit hinges primarily on challenging the validity of this waiver and its authority, along with challenging the sufficiency of the environmental studies done in the lead up to building the wall and the wall prototypes. The lawsuit being 53 pages makes discussing its claims in full a bit of a challenge. However, we can hit the highlights of its challenges. The lawsuit starts by challenging the federal governments steps in regards to environmental law. The National Environmental Policy Act (NEPA) requires several procedures before the government can undertake a project-such as Trump’s wall-which has a significant effect on the quality of the human environment. This includes preparing a report known as an Environmental Impact Statement (EIS). The steps taken on the wall have made no such report. They’ve also ignored the requirements of laws such as the Coastal Zone Management Act and the Clean Water Act. The lawsuit challenges the wall based on this failure to follow environmental procedures for federal construction projects. Next, the lawsuit alleges that the IIRIRA doesn’t grant authority for the waivers Secretary Kelly made for the wall. It argues that the breadth of the IIRIRA covers waiving to create walls, not replace existing walls as is happening in San Diego. The lawsuit further argues that the provisions of the IIRIRA also limit the waivers to construction in areas with high instances of illegal entry-something that is not the case in San Diego and in many places along where the wall may eventually be made. If there is no IIRIRA waiver authority, the federal government is in violation of the laundry list of over 30 laws it has waived to expedite construction of Trump’s wall. Even if the waiver authority exists, the federal government has produced no studies or evidence that supports these elements in order to establish that they should be able to use that waiver. The waivers are also challenged on due process grounds-the requirement that the government provide a reasonable ability to a fair judicial process. However, according to California’s lawsuit, the federal government’s legal waivers are so broad (potentially covering essentially the whole southern border of the country for an essentially indefinite time) that they cannot provide reasonable notice of where the waivers are going to apply and when. The power of Congress to pass the law in the first place is also challenged. The lawsuit cites a separation of powers issue. Congress generally can’t delegate it’s powers to another branch without clear delineation of the limits of what is delegated. Here, Congress has given power to waive laws to an agent of the Executive branch. The lawsuit argues that this vests the power of the legislature in the Executive branch-impermissibly violating separation of powers. The gist of the argument is essentially that by giving total fiat to waive all laws for this purpose, Congress has removed the power of law in this circumstance. Instead, the lawsuit argues that Congress must individually delineate what laws may be waived. It’s noting here, that while delegation of the legislative powers of Congress are theoretically unconstitutional, in practice extremely broad grants of power have been allowed in the past by the courts. However, a totally unchecked delegation may still be unconstitutional. Nearly all of these claims require an intensely complicated bit of administrative and constitutional law for the courts to come to a final conclusion. However, as stated, the lawsuit already makes arguments that hold water. Each one has a real chance of success and any one of them could put a stop to or substantially delay Trump’s wall. But, the lawsuit has a very long way to go from complaint to actually achieving its goal. However, it is without question that the suit will face an uphill battle. The waiver provisions in question have been used for decades and a challenge to them will face this precedent. For now, we’ll just have to wait and see how the federal government responds. Trump: Can He Just Take the Land to Build His Wall?